His father abandoned the family when he was an infant. His mother kicked him out of the house when he was just 13 years old, because she “didn’t like the look of [him].” At the age most children are in 7th grade, trading Pokémon cards (or maybe that was just me), Jimmy was homeless. He’d stay a few weeks at a time at various friends’ houses before leaving again. One thing he always had, though, was basketball. He was good, but never expected to be great. In his junior year of high school, Jimmy averaged 10 points per game. The recruiting calls were few and far between, and he ended up at Tyler Junior College in Tyler, Texas. Jimmy Butler had an unthinkably difficult road to NBA superstardom. 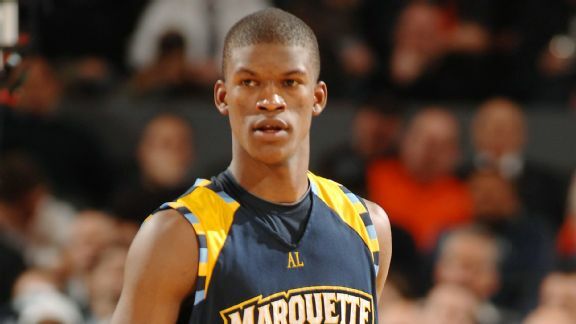 Eyebrows began to rise after his freshman year at the small school, and Jimmy received a scholarship to Marquette in 2008. He averaged under 6 points and under 4 rebounds per game in his sophomore year, but he steadily improved. By his senior campaign, he was scoring almost 16 points per game and was a two-time All-Big East Honorable Mention. Jimmy was selected with the 30th pick in the 2011 draft, by the Chicago Bulls. 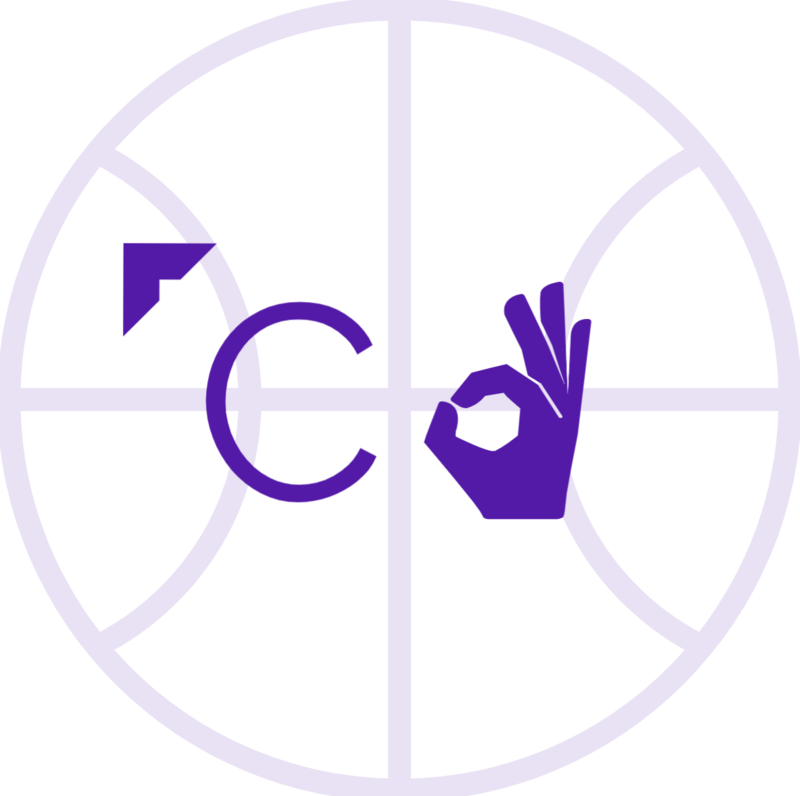 According to an analysis by 82games.com, a player selected 30th in the draft could be expected to average 5.2 points, 2.6 rebounds, and 1.1 assists, with a 60% chance of never reaching even the level of role player. 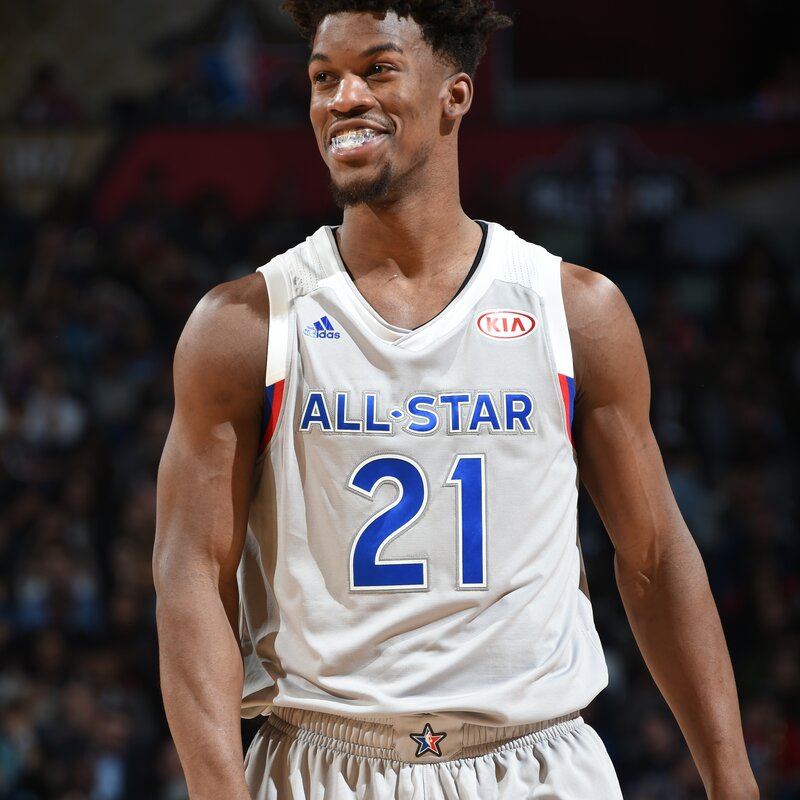 All before age 30, Jimmy Butler is now a 4-time All Star, 2-time All-NBA 3rd team member, 4-time All-Defensive 2nd team member, and the 2015 NBA Most Improved Player. Last season, he averaged 22.2 points, 5.3 rebounds, and 4.9 assists, and led the Minnesota Timberwolves to the playoffs for the first time since 2004, when Jimmy was a 15-year old kid, bouncing from home to home just trying to survive. LeBron James may have just locked in plans for a second Space Jam, but Jimmy Butler’s first 29 years are certainly something out of a Hollywood movie. It takes incredible mental fortitude and physical ability for someone put in the circumstances Jimmy was, not once, not twice, and not thrice, to end up where he is today, and his NBA story is far from over. Last season, he was the 4th best player in all of basketball on a per-minute basis according to ESPN RPM. Jimmy has cemented his status as one of the best players in the NBA. Throughout the offseason, though, there were rumblings about Jimmy’s hesitance to re-up with the Timberwolves after his contract year in 2018-2019. In July, he turned down a 4-year extension with Minnesota. All else equal, that move would have been expected – waiting until 2019 to sign would’ve made him eligible for a 5-year supermax deal. Reports began to surface that Jimmy was “fed up” with the young players on the Wolves, namely, Karl-Anthony Towns and Andrew Wiggins. This week, it all came to a head, when he met with coach Tom Thibodeau (on neutral ground, mind you, not in Minnesota as originally planned) to reportedly request a trade. According to Adrian Wojnarowski, he would prefer to be traded by Monday (Wolves media day) and has a short list of 1-3 teams he’d like to go to, and would presumably be willing to sign an extension with – the Clippers, Nets, and Knicks. Of course, Thibodeau has a reputation as a hard-headed, win-now, steadfast man, who may not be willing to deal Jimmy unless he feels he absolutely must. Things are looking pretty bad inside the Wolves’ locker room, however. In a drama just as suited for Hollywood as Jimmy’s upbringing, Andrew Wiggins’ brother Nick appeared ecstatic to see Butler’s potential departure on the horizon. Jimmy then used the same “Halleluyah” on his Instagram story. Former NBA player Stephen Jackson then decided to enter the ring, commenting that Nick Wiggins shouldn’t have called Jimmy out, because he “plays with a lot of heart”, whereas Andrew Wiggins “plays with no heart.” Andrew finally got involved last night, posting a jab at Jackson, which was followed up by his brother Nick, and, as of this article, the final chapter was a spicy response by Jackson. Someone get this article to @FreezingColdTakes. Things haven’t gone smoothly for the two similarly-positioned teammates. It’s a whirlwind of a story, but the root of it all is the schism between Wiggins (singular and plural) and Jimmy, who may be a tough sell on playing together anymore, or even spending media day in the same room. No matter how much Thibodeau loves Jimmy’s play style, and playing him in general (his 36.7 minutes per game ranked number 1 in the NBA among shooting guards this past season), considering the chemistry issues and Jimmy’s presumed unwillingness to commit to Minnesota beyond 2019, their brief Midwestern reunion may be coming to an end. So, what’s next? If the reports are to be believed, the short list of destinations for Jimmy (if, of course, Thibs agrees to not only trade him, but honor Jimmy’s team preference) are the Clippers, Nets, and Knicks. The kicker for trades at this junction of the season, though, is that recent free-agent signings (2018 offseason) can’t be traded yet. Per the CBA, “a free agent who signs a contract cannot be traded for three months following the date the contract is signed or until December 15, whichever is later.” This makes it harder for teams to get enough money in a deal to balance Jimmy’s contract. What about his short list? The Nets are finally out of the woods with regards to their infamous Paul Pierce/Kevin Garnett trade with the Boston Celtics – would they jump right back in and trade for an impending free agent now that they own their own first-round pick for the first time in years? It’s possible if they really badly want to get Jimmy in-house as a way to recruit him, similarly to what the Raptors are doing with Kawhi Leonard. There’s also the added layer of Kyrie Irving’s coinciding free agency, as some have called the two a package deal, and Irving’s former teammate JR Smith has called the chances Irving ends up in New York, but in orange and blue, “high”. The Knicks are in a similar situation to the Nets, though – with Kristaps Porzingis likely out until at least the All-Star break, they’re not exactly in win-now mode, and as recently as as this week, their brass has said they would no longer trade their first round picks for players they could potentially acquire through free agency. Perhaps they are still licking their wounds after trading so many starting-caliber young pieces for Carmelo Anthony, who wanted to be in New York anyway. Every player in this photo, with the exception of Amar’e Stoudemire, was traded for Carmelo Anthony. The Clippers probably make the most sense of the three at this point – they have a lot of good-not-great NBA players on their roster that could help Thibodeau and the Timberwolves stay relevant now, and are definitely trying to compete themselves. But keeping Jimmy in the Western Conference, which wouldn’t happen with the Nets or Knicks, might cause some hesitancy, especially if Minnesota does want to continue to compete this season. Not yet 30, Jimmy Butler is going to provide a considerable boon on the team he’s playing for next season, and presumably for the following 5 if he signs an extension – FiveThirtyEight projects him for 35.1 Wins Above Replacement over the next 6 years. Considering what he’s been through, it seems self-evident that he’ll have what it takes to make the best of whatever situation he’s in. No matter what happens, we’ll be watching, learning every day what the G stands for. Previous postWho Hurt the NBA more: DeMarcus Cousins or Tilman Fertitta?